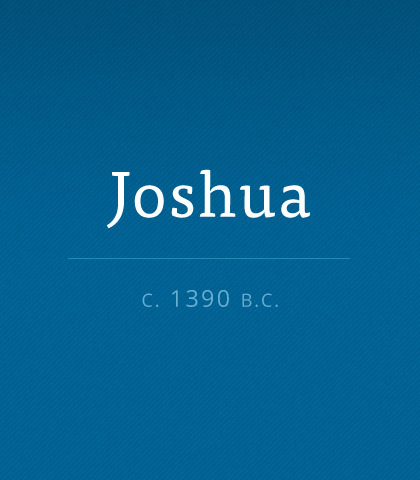 Joshua records the culmination of Israel's journey to the Promised Land. Here God fulfils His promise to give them the land of Canaan. Read more about the book of Joshua. Your mind isn’t old—keep stretching it. This is good advice for everyone, no matter what age. Where can Christians turn when we’ve been pushed around, misunderstood, and bruised with adversity? The answer for us today is not unlike the answer for the ancient Hebrews. Following God’s Law, they set up “cities of refuge”—pockets of security and protection, where healing could happen. Places of spiritual refuge are just as needed today. Joshua's final speech can be summarized in three words: “choose for yourselves” (Joshua 24:15). These three words apply so perfectly to us today as we consider how to build congregational relationships. In the final analysis, we either will or will not pull together, grow deeper, and become a caring body of believers. It’s really up to each of us to choose whether or not to bond with other believers. Joshua's journey had come to an end and he poured out his soul to his people. He was deeply concerned about their willingness to compromise their convictions and co-exist with the Canaanites. And so, Joshua delivered his final message of warning.